The survey found that about half of Americans – 51 percent – said they have a great deal or quite a bit of confidence in law enforcement, versus 14 percent who said they have very little or no confidence. That’s compared to just 39 percent who expressed confidence in police forces in December 2014. The low point for trust in policing came last year after a spate of incidents involving young unarmed black men who died at the hands of officers, including the deaths of Michael Brown, Tamir Rice and Eric Garner. While 2015 has been marked by continued protests and the political maturation of the Black Lives Matter movement, attitudes about police have improved in the last year among all major demographic groups, including among African Americans, Hispanics and young people. But despite those improvements, African Americans are still largely skeptical. Fully a third – 33 percent – still say they have little or no confidence in law enforcement agencies, while 24 percent express high levels of trust. Among Republicans, high trust in law enforcement leapt from 56 percent last year to 69 percent this year. But Democrats remain more guarded, with just 37 percent saying they have high trust in police, compared to 20 percent who still express little confidence. 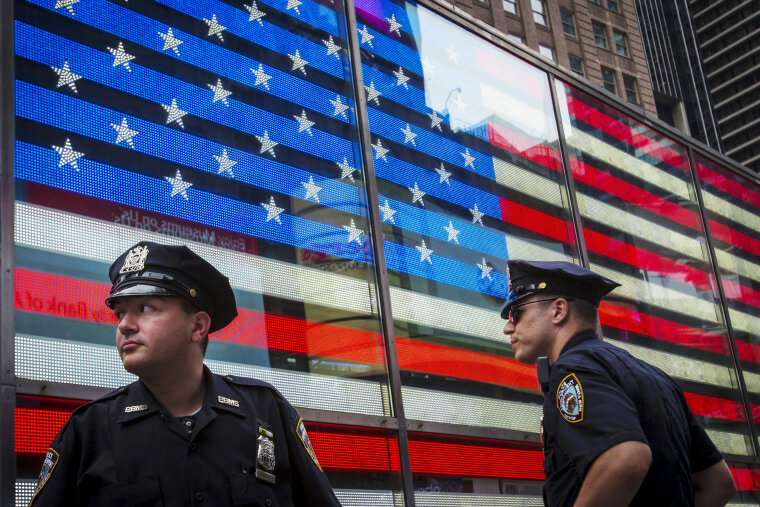 Overall, law enforcement agencies remain one of the most trusted institutions in the country, according to the NBC/WSJ poll, with only the military inspiring a greater expression of confidence. About 33 percent of Americans say they have high confidence in the Supreme Court (with Democrats expressing more trust than Republicans), while 23 percent say they have high trust in religious organizations. And, of course, there’s that particularly reviled group: The news media. Only a dismal 14 percent give the national media high marks, compared to 48 percent who said they have little or no faith in the Fourth Estate.